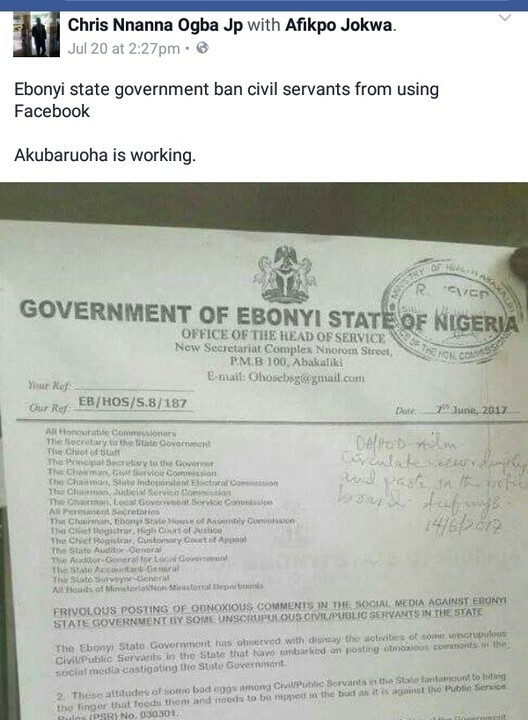 Government of Ebonyi State has allegedly placed a ban on the use of social media platform, Facebook for its workers. 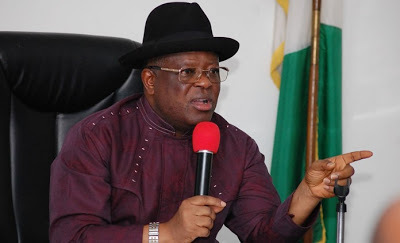 According to a viral photo shared by Facebook user, Chris Nnanna, the state government under the leadership of Dave Umahi has instituted the social media ban for workers in the state. 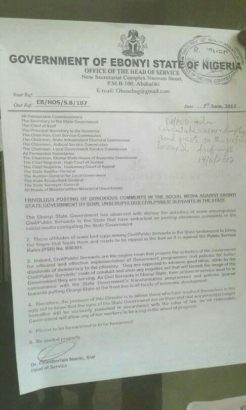 According to the memo, the move to ban state workers from the use of the social media platform is aimed at curbing obnoxious comments against the Ebonyi State Government on social media.